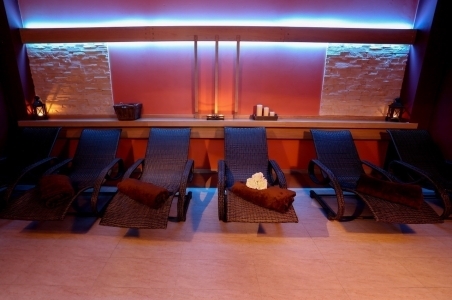 Have a rest and relax in newly remodeled wellness and spa center in hotel Palcát. The hotel wellness and spa center consists of the Finnish sauna, the vario sauna, the whirlpool, the steam room, cooling pool, ice bath, the Kneipp water therapy and other treatments for regeneration your body and soul. Our team of certificated professionals can prepare treatment suitable to meet your needs. You can choose from many kinds of massages such as lymphatic, chocolate or slimming spicy care. Wellness center includes also services of cosmetic Payot using French natural cosmetic. Private rental of the sauna world or whole wellness and spa center is possible. If you look for professional wellness and spa services, come to hotel Palcát and visit our new remodeled wellness and spa center. The certificated professionals in many procedures are waiting for you to follow your needs. 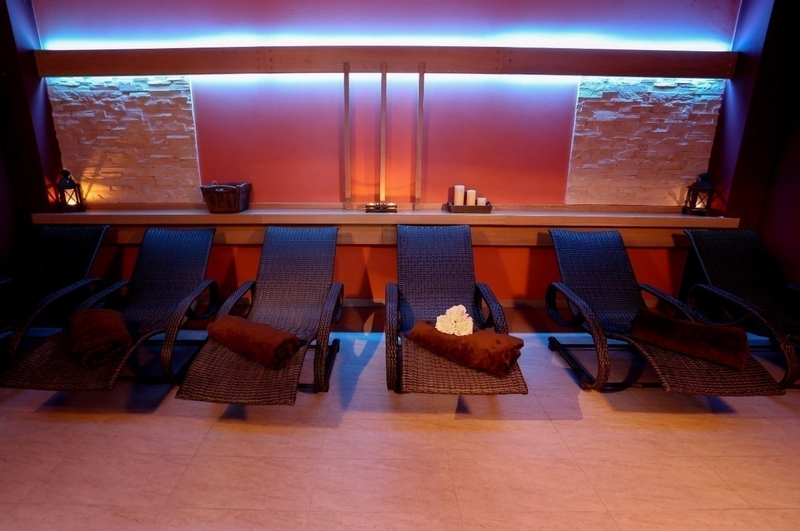 Discover a real relax, beauty and health in our wellness and spa center. Sauna world consists of the Finnish sauna for 30 people, where the sauna ceremonials take place in autumn and winter time. You can visit also the steam room or the vario sauna, where the temperature achieves 60 C and the humidity 30%. There are also a cooling pool and an ice bath. You can also visit special sauna days only for women. 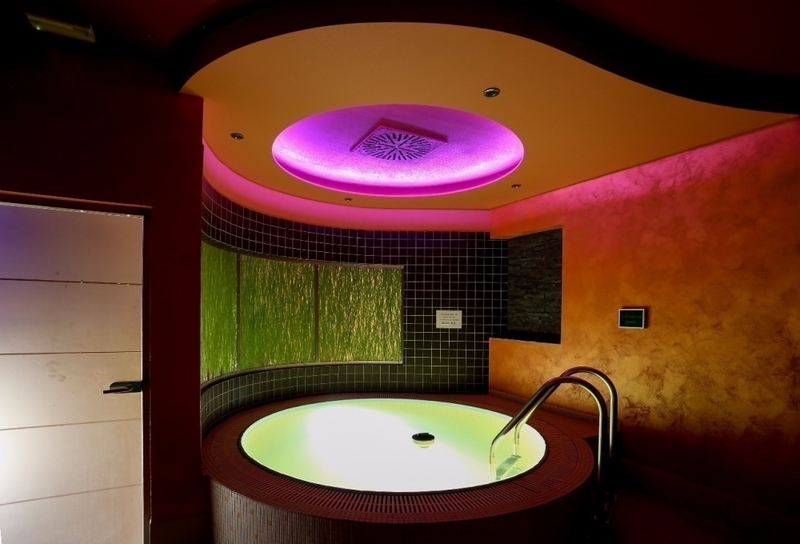 Have a rest and relax in our whirlpool with the temperature 38 C. The whirlpool can be also rented for private use. You can taste here special strawberry wine or champagne. Come and enjoy romance or just relax with your friends! Kneipp therapy pavement is one of the water therapies that activate autonomous nerves which improve blood circulation in legs and general metabolism. The procedure consists in the alternating use of hot (40°C) and cold (12°C) water in two pools with pebbles. This therapy helps with headache, cold feet syndrome and positively affects blood circulation. We offer many kinds of massages such as classical, exclusive or lymphatic. Our team of professionals can prepare many treatment programs in high quality suitable to meet your needs. 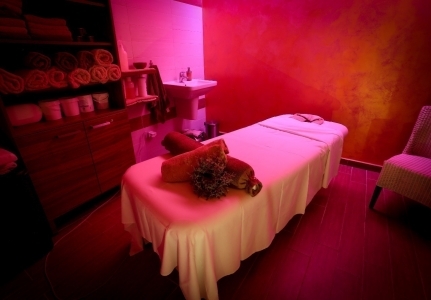 Two massage rooms can be also connected for a massage with your partner or your relatives.